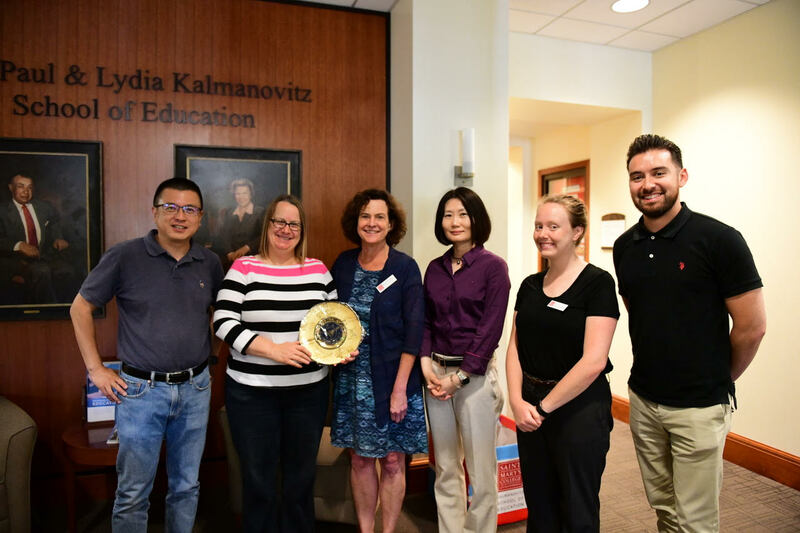 Prefessor Suzy Thomas hosted a group of visiting scholars from the prestigious Zhejiang University in Hangzhou, China on August 10th. The visit included a campus tour and a panel discussion in KSOE with Caity Foster, Assistant Director of Admissions; Matt Schermerhorn, Assistant Director of Admissions in SEBA; Hwa Seong Oh, Student Engagement & Academic Success Coach; Winne Froehlich, Counseling Department Manager; and Professor Thomas. 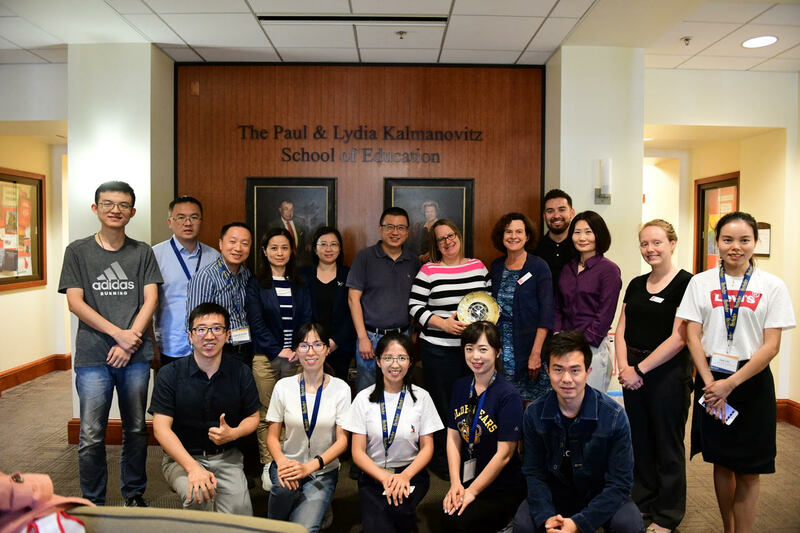 The group of 11 counselors and program directors, along with Dean Limin Qiu, are working on improving their support services for first-year students and interested in sending students to the United States for both undergraduate and graduate school. 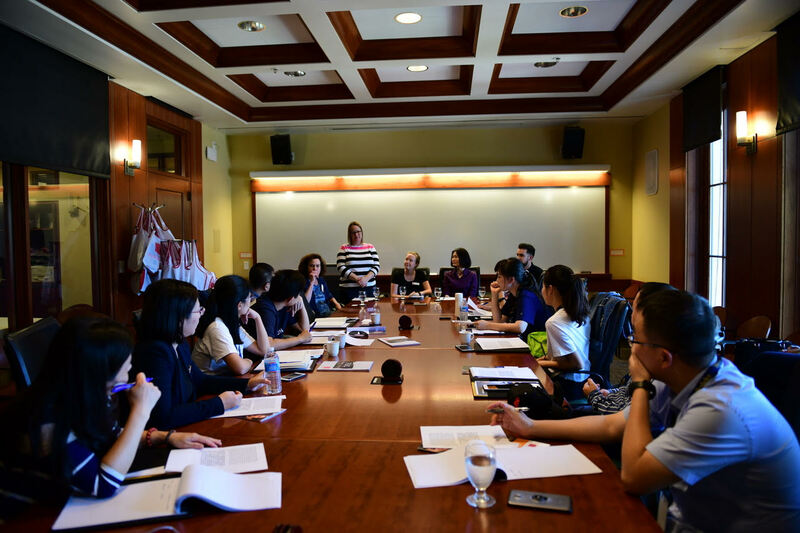 Professor Thomas was contacted regarding this group by UC Berkley, Extension, based on her work in the College Admissions and Career Planning Certificate Program. She serves on the Advisory Board for the certificate program and co-teaches an in-person and hybrid course in counseling skills; in January, she and her co-instructor adapted the course for a class of 12 high school counselors from China, and they have been invited to offer a 2-day workshop on counseling skills at Vanke Meisha Academy in Guangdong Province in the spring of 2019.